Key storage lock with shackle holds over 5 house, car or padlock keys, 4 dial resettable combination provides simple, set your own combination convenience, reinforced body withstands hammering & sawing, shutter door provides enhanced weather resistance, molded bumper & vinyl coated shackle prevent scratches to your property, hardened steel shackle resists cutting. 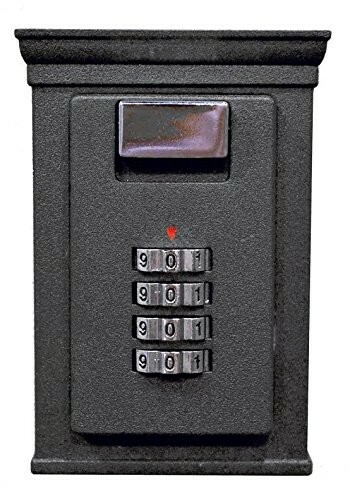 Secure, Reliable Key Storage, the Secure-A-Key Safe original portable lockbox is a convenient, affordable solution to key control. Hiding a key under a flowerpot or over the doorjamb, while handy, is not the best idea. The perfect blend of convenience and security, the KeySafe makes sure your keys stay where they're needed. 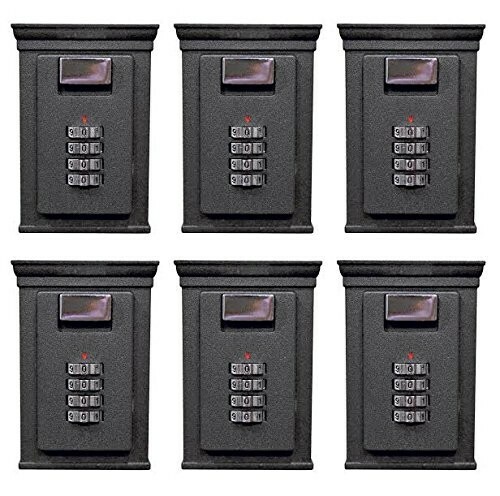 Ideal for everything from emergencies to easy access for friends and relatives, the portable Key Safe lockbox can be used in a variety of situations—homes, vacation properties, outbuildings, and more. 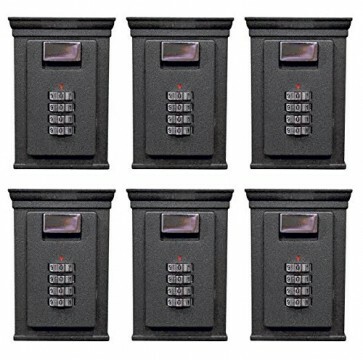 Secure-A-Key 6700W Key Safe with combination panel. © 2017 Lock Box Shop. All Rights Reserved.